Add New Skills and Double Their Reading Vocabulary! 2009 AEP Award Winner, PCI Reading Program Takes It to the Next Level. The PCI Reading Program is a research-based curriculum created specifically to teach students with developmental disabilities, autism, and significant learning disabilities how to read. Levels One and Two teach 280 sight words and "real-world" nouns and verbs through a comprehensive system of repetition, "hands-on" practice, controlled-vocabulary reading, and high-interest activities. Nonreaders become successful readers word by word, reading 42 engaging, full-color books along the way. PCI Reading Program Level Two is designed as the next step for students who have completed Level One. 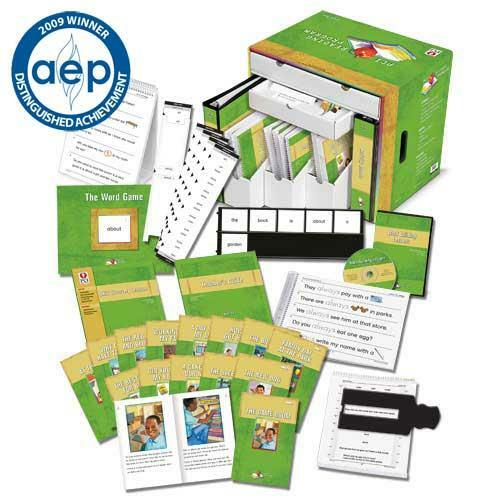 It teaches 140 additional sight words and "real-world" nouns and verbs, advancing students from a 1.0 reading level to a 2.0-2.5 reading level. While Level Two's focus is still on teaching words through visual discrimination, it also introduces students to wrapped text, common inflectional endings, such as -s, -ing, and -ed, and compound words. Level Two uses the same five-step lesson cycle that students became familiar with in Level One, but it teaches the words in groups of ten rather than five. 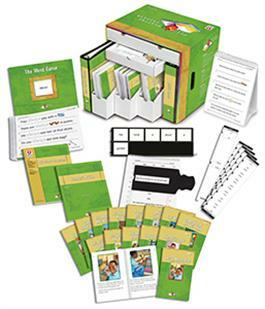 Level Two includes 14 full-color books, one for every ten words learned. Each book features a different character in a typical everyday setting. Books range in length from 12 to 16 pages and move from one paragraph per page to up to three paragraphs per page. A set of 14 reproducible stories is provided to help students review all 140 words they learned in Level One. In addition, Level Two features a new instructional step in the Guided Word Practice lessons called Skill Discovery. The Skill Discovery Lessons Book offers scripted lessons that teach students how to read wrapped text, interpret end punctuation marks, identify and read inflectional endings, and identify and read compound words. Word Strips and specially designed Word Windows are also included to help students practice reading words with inflectional endings and compound words. To prepare for Level Two, students read 14 short stories that use only the 140 words taught in Level One. Each of the 140 Level One words appears at least once in these stories, and many words are used multiple times. A word assessment chart has been provided so that teachers can easily track students’ retention of the Level One words. Any words not retained should be reviewed before the student begins Level Two. Within the units, 38 lesson plans incorporate research-based strategies and differentiated instruction to build each skill one step at a time. 62 reproducible student pages include environmental print samples that use the words from the program; sight word lists, sentence lists, and reading samples to build fluency; and writing practice sheets. Three different assessment charts to track rate and accuracy are included in the Fluency unit. The final unit features five reproducible, take-home books to build the school-home connection. Once students have been introduced to text wrapping and end punctuation marks, Level Two books and materials begin incorporating paragraphs. Inflectional ending lessons and compound words incorporate decoding, expanding students’ reading skills and preparing them for Level Three of the program. Both lesson plans and reproducible student pages are included in the Skill Discovery Lessons book. Once a Word Strip has been introduced in a Guided Word Practice Lesson, students can continue to use it for review and independent practice.